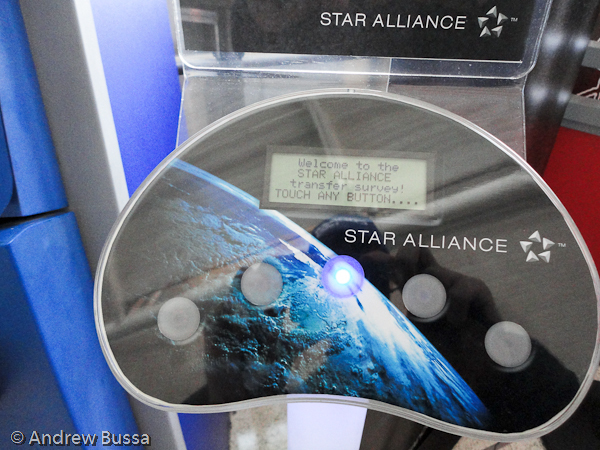 The Star Alliance wants to know about your international transfer experience. They are not interested in anything else (at least at the moment). The Star Alliance has been trying to simplify global travel for passengers on member airlines for the last 15 years and they have become very good at it (long queues at LHR aside). 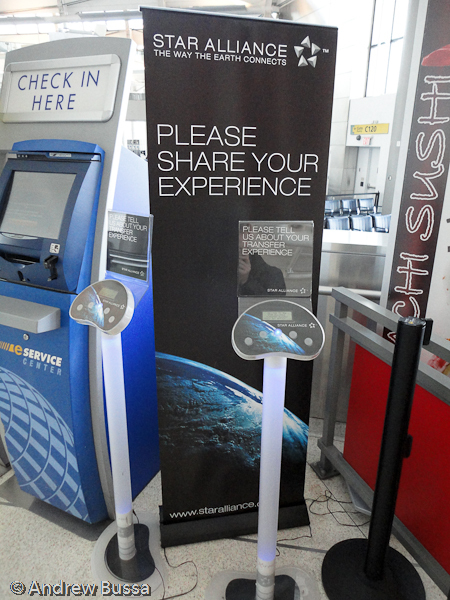 It’s a good sign that they are collecting passenger feedback about the process. The questions were all multiple choice for international transit customers. An interesting find at EWR; way better than the Met store clearance table.